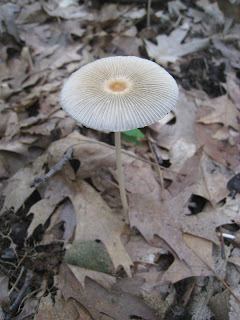 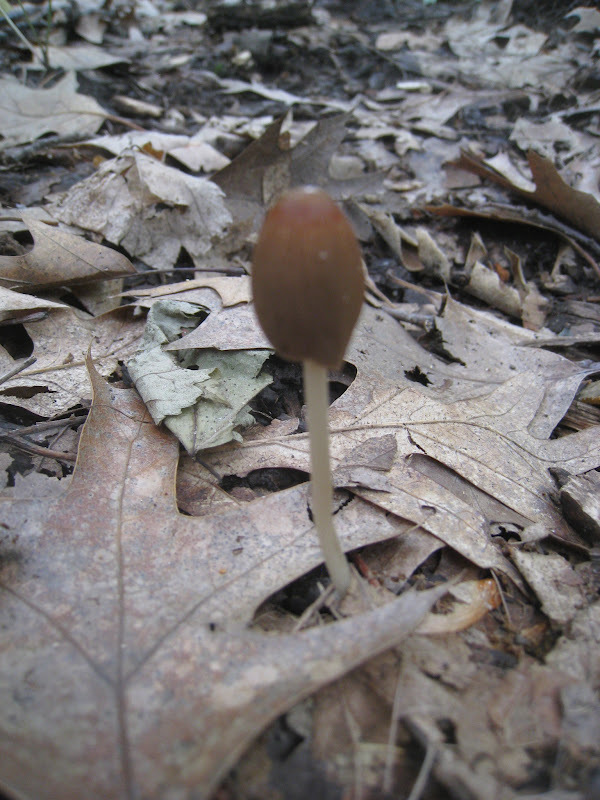 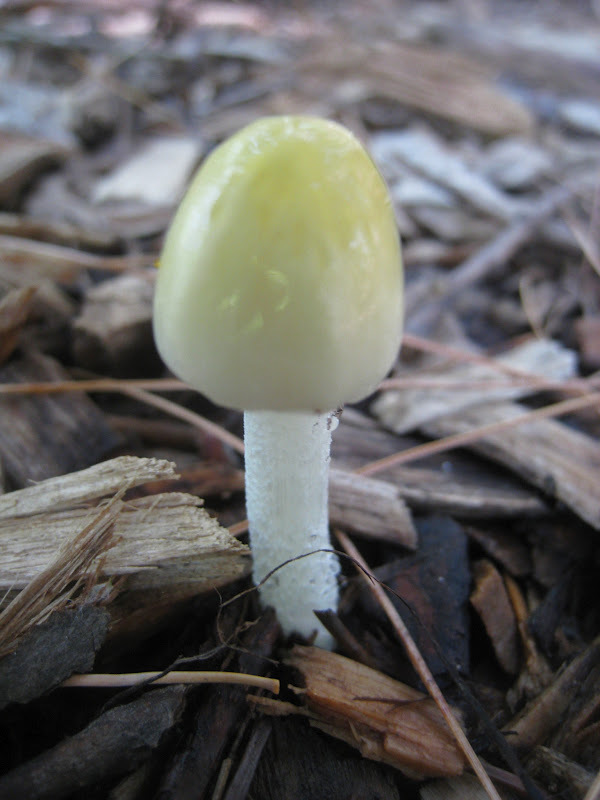 Small and fragile, with a slimy yellow cap and brown gills. Growing on a wood chipped trail. 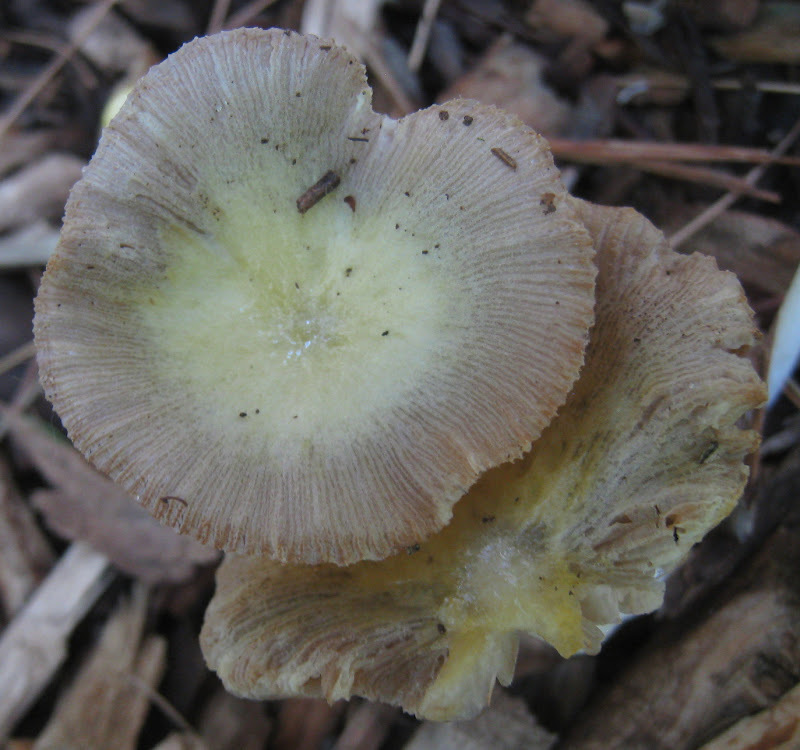 They look very different at first, as in the above photo.